The Stairs of Crematory 2 at Birkenau, sometimes called Crematory 1, were not used for gassing people. Stairs are dangerous. 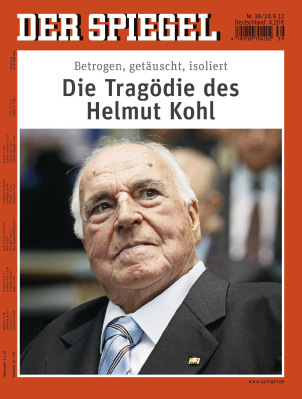 Helmut Kohl, who helped in introducing the law in Germany prohibiting ‘doubt’, became himself a victim of his own Cult and Law making. On February 2008, he fell down the stairs and gravely injured himself. Today his life is on top of a wheelchair where he can hardly speak. When Ditlieb Felderer stated that the Staircases of Crematory 2 and 3 at Birkenau, near Auschwitz, prove that these buildings were not ‘gas chambers’ but ordinary Morgues, he was attacked by Helmut Kohl who got him incarcerated into Concentration Camps. Today Helmut Kohl and his CDU party can no longer deny stairs can be dangerous, Helmut Kohl, the law introducer became himself a victim of stairs being permanently confined to a wheelchair. Ditlieb Felderer as a child lived in a place where food was stored inside a basement. Early on in life he learned the danger of Stairs. Putting people inside Concentration Camps for relating about his experience with Stairs as Helmut Kohl and his CDU party has done, is a gross crime in itself. Baby Carriage, Ballet, Bed, Belzec, Bicycle, Birkenau, Budapest, CDU, Chicken, Child, Chimney, Concentration Camp, Condom, Deny, Doubt, Final Solution, Fish, Germany, Helmut Kohl, Hitler, Holocaust Theater, Hungary, Ice Cream, Jewish Orchestra, Jewish Sonderkommando, Monty Python, Mordecai, Paella, Pig, Pizza, Poland, Politic, Pork, Rabbi, Religion, Six Million, Soup, Stair, Stair Doctrine, Staircase, Sweden, T12Audio, T1Audio, Tailor, Teatro Holocausto, Telefunken, Train, Warsaw, Warsaw Ghetto, Wheelchair, Yes we can! There will be no stairway to heaven for Helmut Kohl.